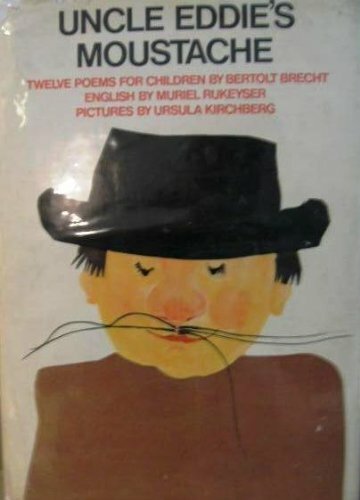 Uncle Eddie's Moustache: Twelve Poems for Children. Brief humorous verse on a variety of topics. About Bertolt Brecht (Author) : Bertolt Brecht is a published author of young adult books. Some of the published credits of Bertolt Brecht include The Caucasian chalk circle, Drama for Reading and Performance: Collection 1. About Ursula Kirchberg (Illustrator) : Ursula Kirchberg is a published illustrator. 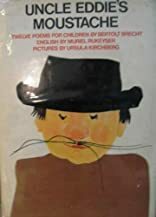 A published credit of Ursula Kirchberg is Uncle Eddie's Moustache: Twelve Poems for Children..
About Muriel Rukeyser (Translator) : Muriel Rukeyser is a published author and a translator. Published credits of Muriel Rukeyser include More Night, Uncle Eddie's Moustache: Twelve Poems for Children., Mazes (A Gulliver House book).